Indies Introduce is about what independent booksellers do best—discovering exciting debut authors and sharing the best of the best with readers across the country. 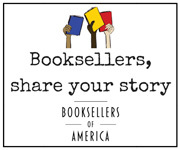 You will hear from the bookseller panelists who curated the "diverse list of fabulous books that every American should read" (Pete Mulvihill, Green Apple Books). Many of the debut authors will be present to read a short passage from their debut titles and answer one question posed by a panelist.